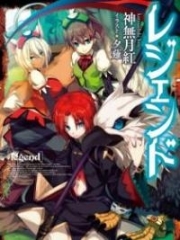 You’re reading novel The Demonic King Chases His Wife: The Rebellious Good-for-Nothing Miss Chapter 1131 online at LightNovelFree.com. Please use the follow button to get notification about the latest chapter next time when you visit LightNovelFree.com. Use F11 button to read novel in full-screen(PC only). Drop by anytime you want to read free – fast – latest novel. It’s great if you could leave a comment, share your opinion about the new chapters, new novel with others on the internet. We’ll do our best to bring you the finest, latest novel everyday. Enjoy! A and B is C D E, A and B isn’t C D E…. this clearly had several possible meanings ah. Su Luo had her chin in hand as she pondered continuously. The Seventh Young Master glanced at Nangong Liuyun proudly: "This fish is about to bite the hook soon. You can't think of an answer right?" He turned to smile apologetically to Su Luo: "A man who can't even answer this question, how can he be worthy of you, we don't want him ha." Who was this person ah, why did he need to stick his nose in Nangong Liuyun and her's relations.h.i.+p? Su Luo glared and was just about to retort back. But Nangong Liuyun smiled faintly, stopping Su Luo's movements. He indifferently glanced at Seventh Young Master. "This question is not difficult oh, why should your distinguished self feel that this is very difficult?" "Not difficult?" Seventh Young Master's eyes opened wide, "You know the answer?" Oi, oi, curse it, how could he be so quick? This was the most difficult question on the scroll! "Not only do I know the answer, also, it's not only one answer." Nangong Liuyun had his hand crossed behind his back. He calmly and in a composed manner raised his jaw. "You, you actually, all of a sudden, thought of two answers? This is impossible!" The always composed Seventh Young Master was shocked. He stood up at once with a rustling sound, glaring at Nangong Liuyun. "How could it be impossible? This is a very simple question." Nangong Liuyun got a small advantage and still wanted to flaunt it. He spread out his hands, standing in a helpless posture. "Okay then you say it, if you can tell me two answers, then this basket of blue fish will all belong to you!" Seventh Young Master said, still not believing him. "This way ah… Then very well." Nangong Liuyun agreed reluctantly, "But you must not get angry when I say it." "What are you trying to sell, quickly say it, quickly say it!" Seventh Young Master urged. Su Luo, seeing this, couldn’t help but slap her forehead gracefully. This Seventh Young Master, just now, was pretending to be laidback, you could see how impatient he was beneath the surface. Nangong Liuyun's hands were crossed behind his back, his gaze far away. He said the first answer: "Little Seven is a thing, Little Seven is not a thing." "Pfft—— " Su Luo couldn’t restrain that breath and directly spouted out a laugh. Nangong Liuyun was really daring, what was this called. This was called pointing at a Buddhist monk cursing that he's a bald donkey. Little Seven, wasn't it pointing to this Seventh Young Master? Seventh Young Master's face turned red, he glowered at Nangong Liuyun and scoffed harshly: "This phrase doesn’t count!" "Why doesn’t this phrase count ah." Su Luo snorted twice, she lifted up the white-as-snow Nine- tailed Spirit Fox, and laughingly said to the Seventh Young Master: "Look, my Nine-tailed Spirit Fox is also called Little Seven. It is a thing; compared to the Seventh Young Master, you are not a thing ah….."
If Su Luo hadn't given an explanation, it was still good, but after this explanation, Seventh Young Master's face turned even redder. "Loathsome girl, looking for a beating? Humph!" Seventh Young Master slapped Su Luo's head in feigned anger. Su Luo stuck her tongue out: "Sorry, but isn’t it because you couldn't understand it after some thought? I just helped out to explain a little. You, as a very distinguished person. should be very magnanimous. You wouldn’t get mad right? I'm just making an a.n.a.logy." If Seventh Young Master got mad, then he wouldn’t be a very distinguished person that was very magnanimous. This girl, although she spoke fast, but every sentence had a deep meaning. This made it that even if he wanted to get angry, he had no righteous reason to be angry. She really was a treacherous, crafty, two-faced and clever girl. Seventh Young Master scoffed: "A woman's heart is with her husband, ancient truth didn’t deceive me. Forget it, I'll forgive you for now. This account, I can get it back from other people." Seventh Young Master flung his sleeves, and cast a cold sidelong glance at Nangong Liuyun, "There still is another verse, if it is similarly inappropriate, don’t even think about keeping that right arm of yours." In Seventh Young Master's opinion, Luo girl becoming this two-faced was definitely because proximity influenced her. She was led astray by this guy surnamed Nangong. 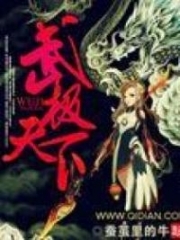 You're reading novel The Demonic King Chases His Wife: The Rebellious Good-for-Nothing Miss Chapter 1131 online at LightNovelFree.com. You can use the follow function to bookmark your favorite novel ( Only for registered users ). If you find any errors ( broken links, can't load photos, etc.. ), Please let us know so we can fix it as soon as possible. And when you start a conversation or debate about a certain topic with other people, please do not offend them just because you don't like their opinions. You're reading The Demonic King Chases His Wife: The Rebellious Good-for-Nothing Miss Chapter 1131. This novel has been translated by Updating. Author: Su Xiao Nuan,苏小暖 already has 10579 views. Current Time is Apr-21-2019 02:20:45 AM.